This will be a guide to installing MDT 2013 and using that to deploy Windows 8.1 to a workstation. The guide is intended to be a framework that can be customised for your specific organisation or home lab. All the machines I reference (both servers and workstations) are virtual machines running on a single VMware ESXi host in my home lab. The same instructions will work on other virtualisation platforms such as Hyper-V or Virtualbox. For the purposes of this guide, I use Windows Server 2012 R2, as it’s the latest evaluation edition that can be downloaded. If you need any help setting up the domain controller, you can follow the instructions in Part 5 and Part 6 of my Lab-in-a-Box series. A separate virtual machine set up as the MDT server, joined to the above domain. Again, any Windows Server version from 2008 onwards would be fine. The server only needs to be joined to the domain. We will perform all other installations and configuration later in this guide.. This server requires internet access in order to configure WSUS. As best practice I recommend adding a second larger hard drive to store all the software and OS images. A separate virtual machine to use for the Windows 8.1 Gold Image. A separate virtual machine to test deployment of the Gold Image onto a regular workstation. These workstation VMs should have nothing installed on them (blank hard drives). You will need to note down the MAC address of each workstation, for use when configuring the MDT Database. I suggest starting the downloads now while reading the rest of the guide, as they can take a while. Before we install any of the software, we’ll configure some users and groups in AD to deal with the various permissions required for MDT, and we’ll set up a GPO to configure some settings. This will be used later when we set up the GPO for the MDT servers. 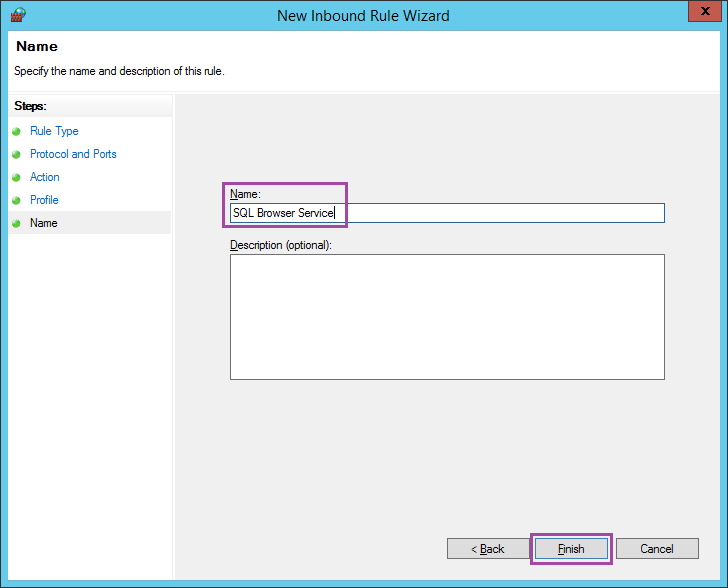 Since we’ll be installing SQL Server on the MDT server, I create a separate Service Account for the SQL service. This account is simply a regular domain user with a complex password. I use a specific naming convention to denote that it’s a service account for SQL on my MDT01 server, but you can name it anything. 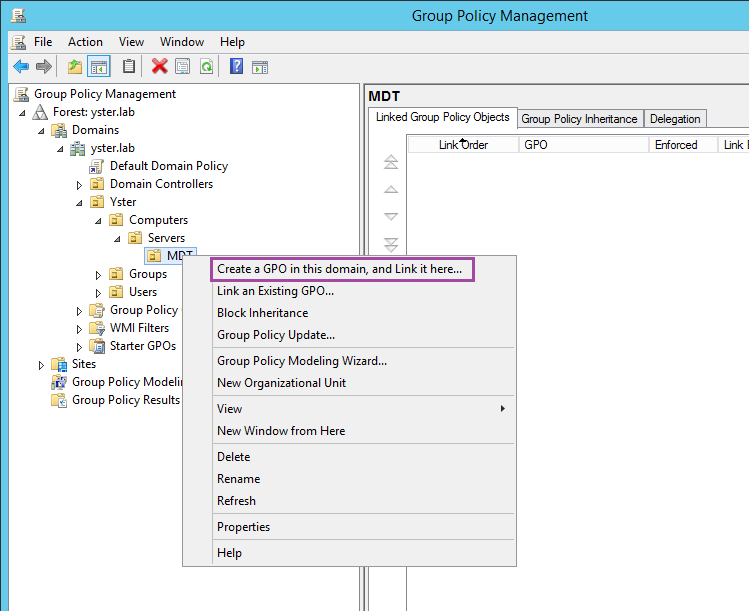 I also follow a Role Based Access Control system whenever possible, so I create some Role and Permission groups for use by the GPO and when installing SQL Server. These are regular Global Security groups, created by right-clicking the OU and choosing New – Group. 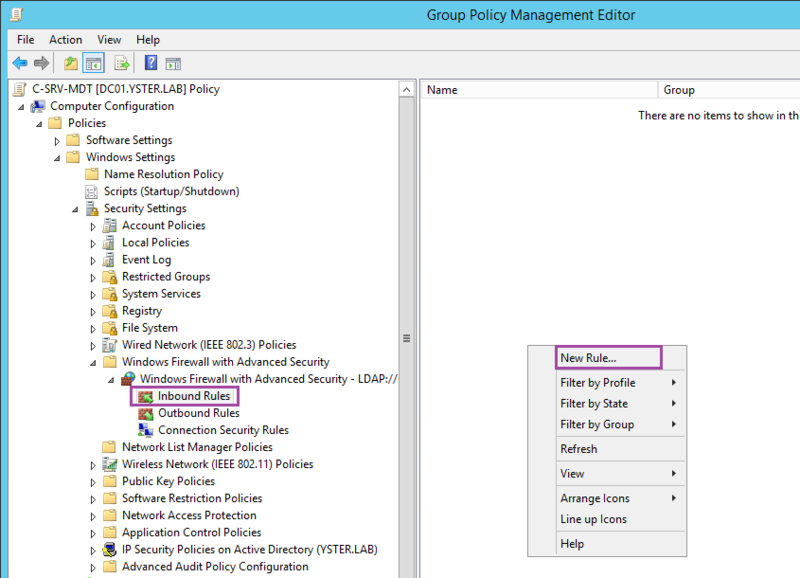 Firstly, I create a group for Local Administrator permission on the server – P-SRV-MDT_Admin. 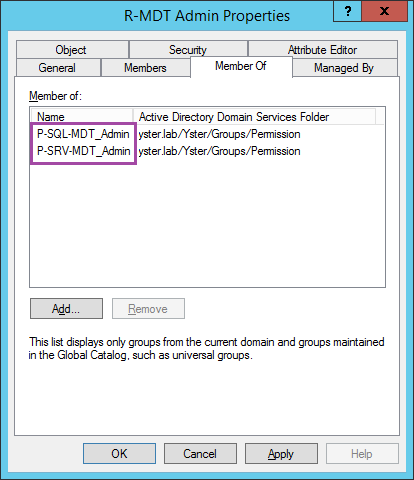 Secondly, I create a group for SQL Administrator permissions on the server – P-SQL-MDT_Admin. 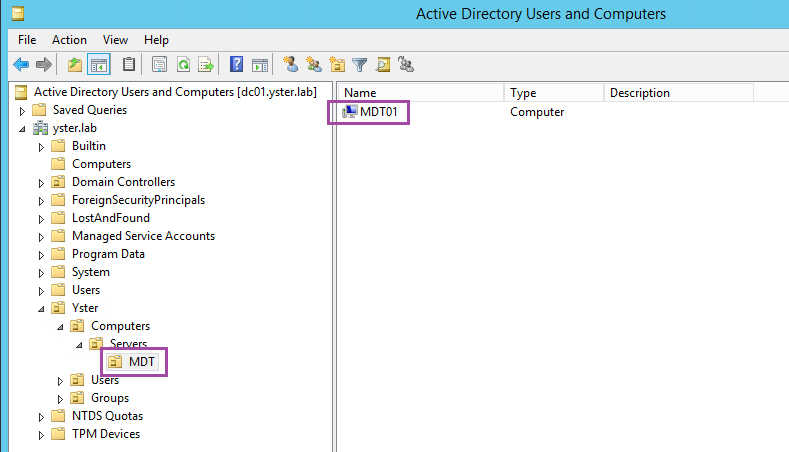 Next I’ll create a Role group, for all MDT administrators. 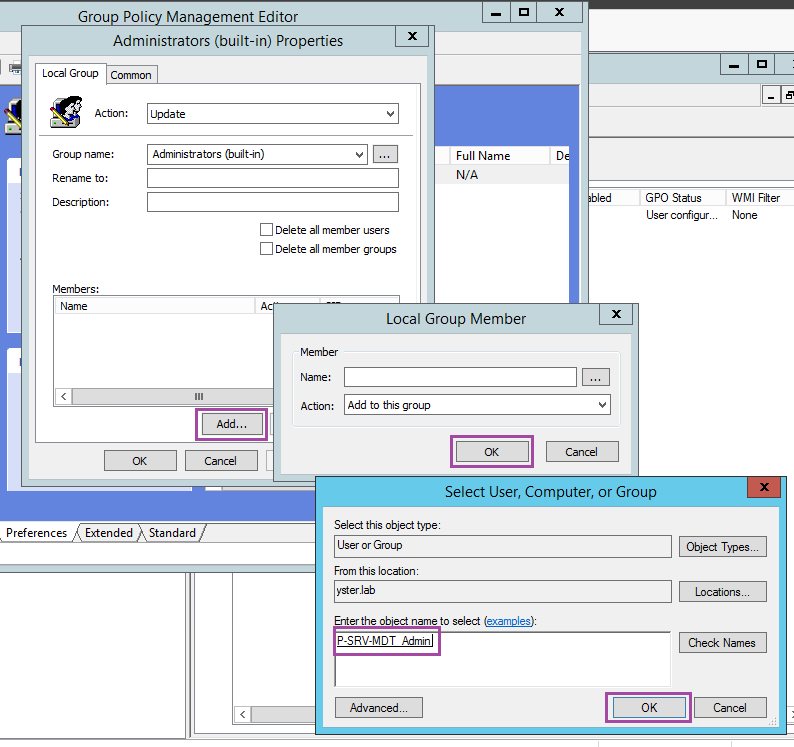 In the Roles OU, create the group R-MDT Admin. Go to the properties of that group, and select the Members tab. Add your own user account (or Administrator, if you’re using that) to the Members. Select the Member Of tab and add the two Permission groups you created above. 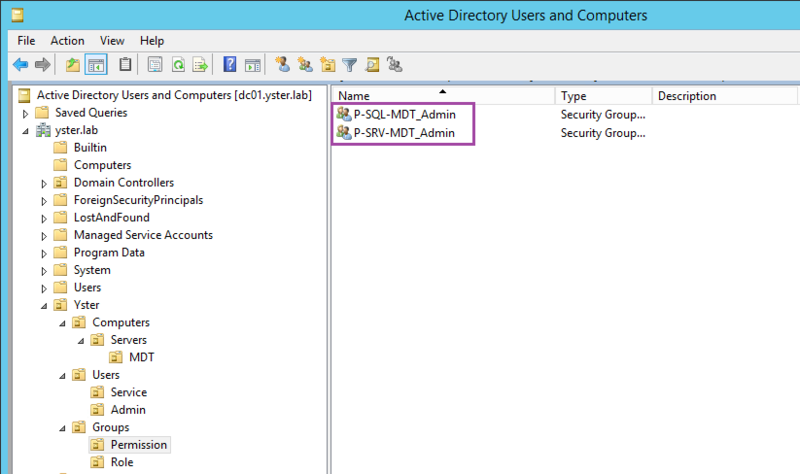 This ensures that your login account is part of the “MDT Admin” Role group, and that the Role group has “Local Admin” and “SQL Admin” permissions on the server. 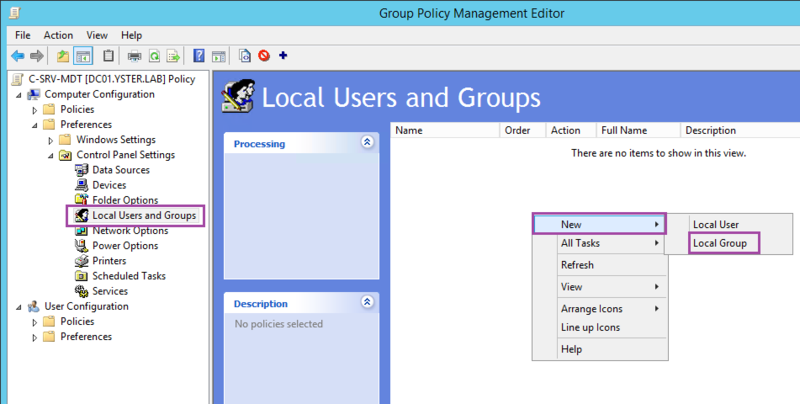 Add the above MDT “Local Admin” group to the local Administrators group on the server. 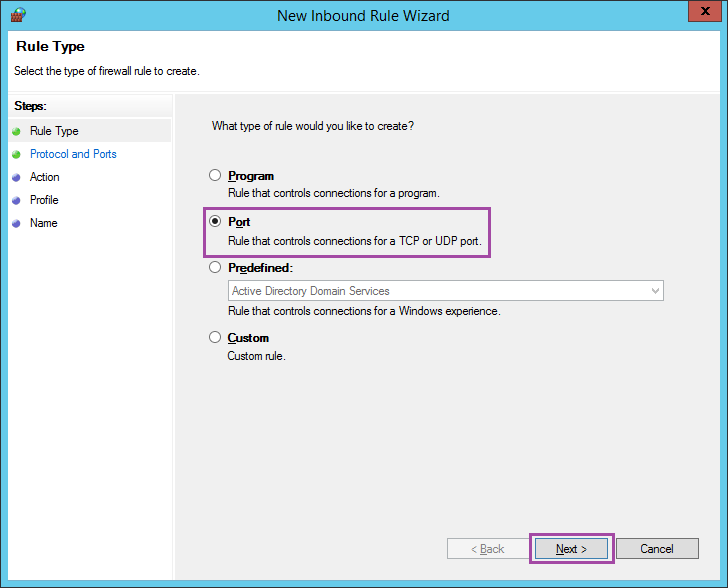 Open the Windows Firewall to allow connections to the SQL server from other computers. This will allow computers to query the SQL database during their build task sequence. Give it an appropriate Name, then right-click on the GPO and choose Edit… Firstly, we’ll set up the local administrators group. Go to Computer Configuration – Preferences – Control Panel Settings – Local Users and Groups. Right-click on a blank area in the right-hand pane and choose New – Local Group. Under Group name, choose “Administrators (built-in)”. Click the Add… button and then the … button and type in the name of the Permission group for local admins that you created earlier. Click OK a few times to save the group. 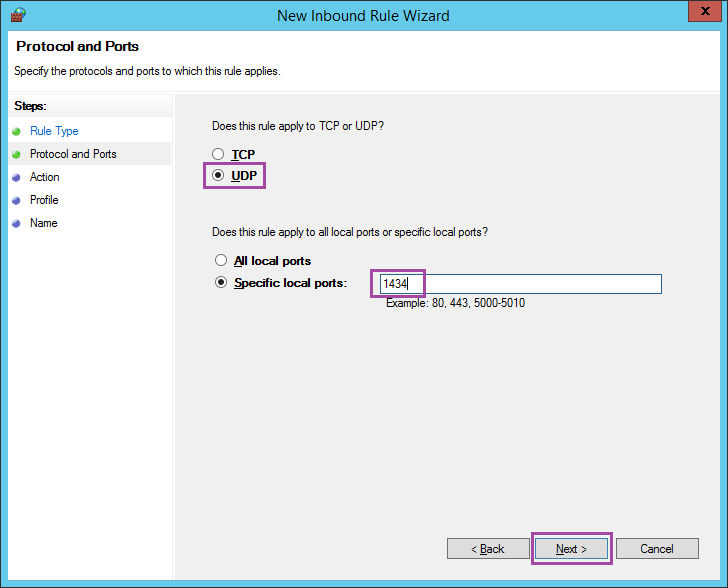 Choose UDP and enter port 1434. Click Next on the Action and Profile screens. Enter the Name “SQL Browser Service” and choose Finish. Close the policy to finish. 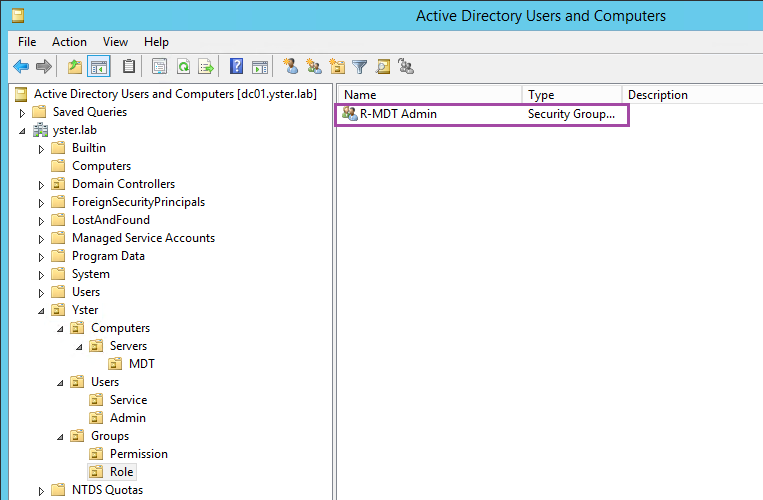 This completes the initial configuration of Active Directory in preparation for the MDT software installation. In the next post we’ll install all the prerequisite software for MDT, and perform some basic software configuration. Appreciate all the work you put in and thank you for sharing ! Excelent guide Sean, but let me ask something. 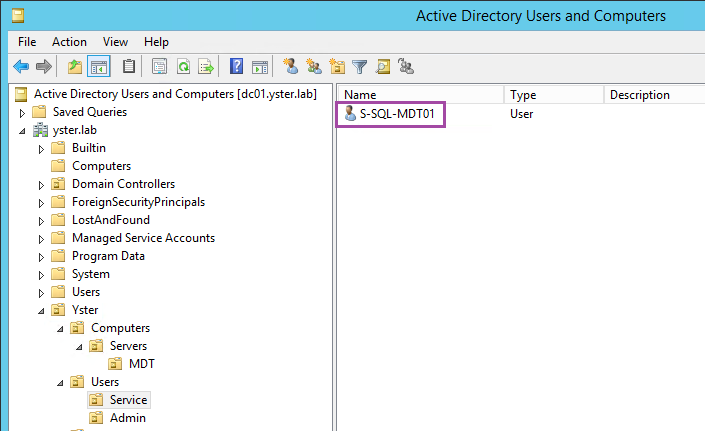 Is really necessary install the SQL for the MDT works? It’s not necessary no, you can do all the definitions in the INI file. However I find it much easier to work with the SQL database myself, especially when you have hundreds or thousands of machines. Also, scripting changes to the INI file is a pain compared to the SQL db. Thanks for the reply Sean, your tutorial its pretty good, its the most complete i’ve found in the internet. I’ll do my deployment scenario as you did (With SQL).